Ella Blythe’s first e-rotica novella will be available soon on sites such as Amazon, Kobo, iBookstore, Nook Books and more. Check it out! 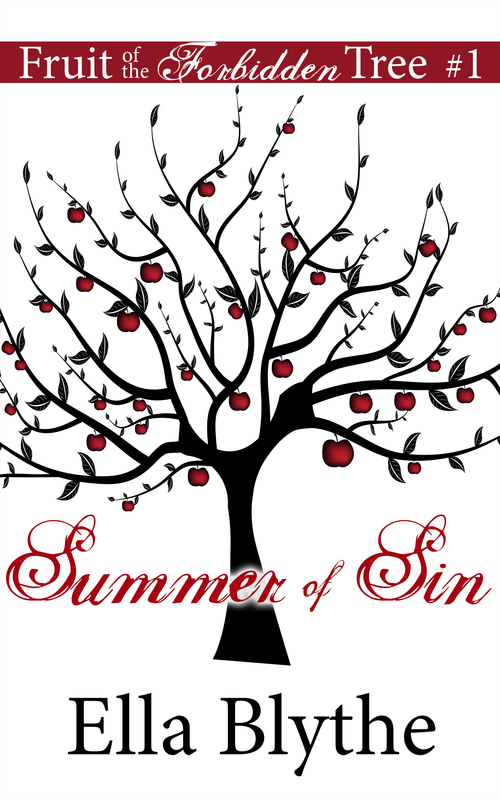 The first installment of the “Fruit of the Forbidden Tree” series, “Summer of Sin” is a delicious trip into the taboo world of the ties that bind: family, guilty pleasures, and white-hot desire! 10,000+ words of forbidden fantasy come alive; intended for adult readers. This entry was posted in ebooks, news, writing updates. Bookmark the permalink.